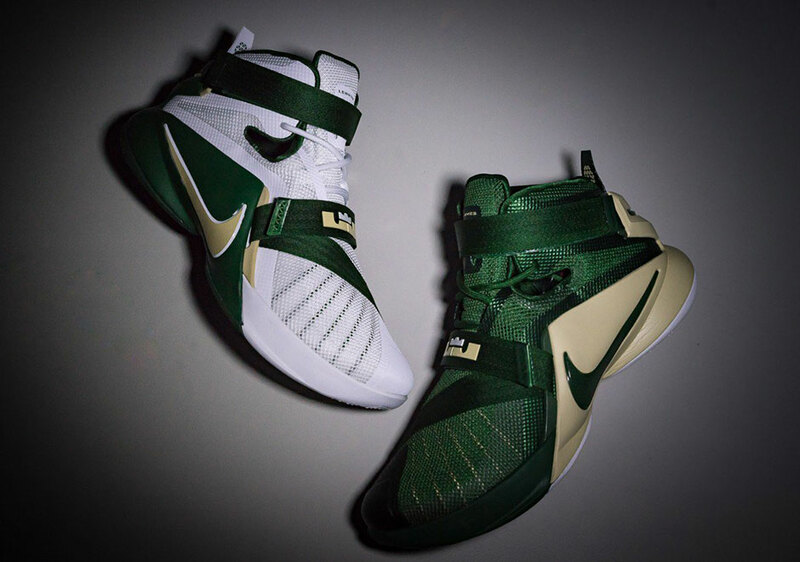 The Nike LeBron Soldier 9 is the latest Nike LeBron shoe to receive the SVSM treatment in both home and away colorways. Every year, LeBron James’ former high school, St. Vincent-St. Mary receives special edition Nike LeBron shoes. This time the basketball team gets treated in two special edition Nike Solider 9 colorways that are decked out in the schools colors. Check out the detailed images below of both the home and away Nike LeBron Solider 9 SVSM colorways and we’ll keep you updated on whether either of these will eventually touchdown here in the states for availability.